The Fresno Arts Council is calling artists to participate in the Arts Alive in Agriculture Juried Exhibition and Showcase on April 6, 2017, located at Fresno City Hall, to show our respect and appreciation for today’s agricultural industry. Driving through the Valley, it’s easy for one to fall in love with the rich greenery that covers miles upon miles of the region’s vineyards, furrows, orchards, and wineries. Our vineyards, orchards, and furrows grow some of the most abundant fruits and vegetables that are distributed to families all over the country. The further you drive into the Central Valley, the more you are able to see the agricultural history taking place. However, it’s impossible to go on without mentioning the hard work that goes into growing such celebrated and delicious fruits and vegetables. Our plentiful agricultural history has shown us those who work long and strenuous hours under the bright and sweltering sun in the fields. It is important to acknowledge and show our appreciation for such hard work and dedication to feeding the people of this world. The growers are the artists of the agricultural industry and they create in one of the most natural ways. Create alongside them as we bring the two worlds together in our annual Arts Alive in Agriculture event. The 2017 art show will feature mixed media works depicting the industry and culture of agriculture in painting, sculpture, photography, and found objects. The Fresno Arts Council seeks to highlight the agricultural industry by showing thoughtful and compelling works from credible artists of California. Chosen artists will receive a ribbon and cash prize with first place coming in at $500. Work will be displayed in Fresno City Hall for the duration of the month following. The Fresno Arts Council is a private, 501(c)(3) non-profit organization established in 1979 under the name of the Alliance for the Arts by local artists, arts organizations, and interested individuals who wished to create a voice for the arts in the Central San Joaquin Valley. Our mission is to enrich peoples lives through the arts. Our purpose is to foster an arts community that recognizes and honors the contributions of its citizens to the arts; advocate to city, county, state, and national institutions on issues of concern to valley artists; and collaborate with community leaders, businesses, corporations, foundations, and other arts organizations to bring artists and audiences together. For more information, contact Jenny@fresnoartscouncil.org. SOMArts Cultural Center announces a call for artists for the SOMArts Curatorial Residency. 9-months of planning and technical support, outreach assistance, and mentorship from SOMArts staff. SOMArts is a cross-cultural, community-built space where cutting-edge events and counterculture commingle with traditional art forms in a way that is open, engaging, and inspiring. It is an incubator for ideas that lie outside the mainstream of contemporary art funding and consumption. For more information, contact gallery@somarts.org. The Janet Turner Print Museum is looking for print artists to show us what is current, important, and relevant in printmaking today for the 11th Turner National Print Competition. 11th Turner National Print Competition prints may include unique and innovative combinations of media encompassing 2D, 3D, time-based work, installations, and other new technologies. The exhibition seeks work that expresses contemporary issues with a well developed aesthetic, shows printmaking’s current innovations, and is a reflection of its history. Exhibition in two sites: The Janet Turner Print Museum and the Jacki Headley University Art Gallery. Exhibition catalog will be published and all exhibiting artists will be displayed on the Turner Museum website. 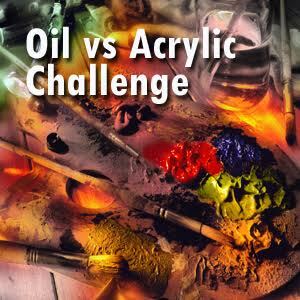 Up to $3,000.00 in cash and purchase prizes and top prize is a solo exhibition in the Turner Museum the following year. The Janet Turner Print Museum fosters the continued artistry of contemporary printmaking, the innovations of 21st century artists, and a respect for the long history of printmaking as an art form. For more information, contact csullivan@csuchico.edu. stARTup Art Fair Los Angeles 2017 is a contemporary juried hotel art fair for independent artists. Those selected from the application process will each take over a hotel room for the course of three days to present a solo show of their work. 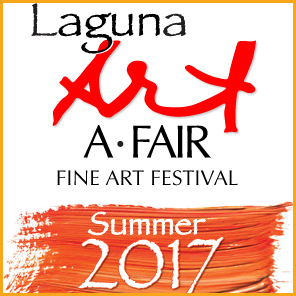 All sales proceeds and professional contacts made during the fair belong 100% to the artists. One of the core missions of stARTup Art Fair is to provide a marketplace that gives independent artists the power to present and sell work on their own terms in a professional exhibition venue. This is a call to artists who are members of Oceanside Museum of Art’s (OMA) Artist Alliance for the Artist Alliance at the Museum 2017. Artists are invited to submit entries for consideration in this juried art exhibition that will take place at OMA. Artwork will be on view in the Gleason Gallery, one of OMA’s large ground floor spaces. Artists may submit original two-dimensional or three-dimensional work. Artwork may be up to 84” in any direction. Three artists will be chosen from the exhibition as juror’s choices and receive solo exhibitions at OMA’s opening in November 2017. OMA is a located in downtown Oceanside with a view of the Pacific Ocean and the historic Oceanside Pier. OMA offers classes, lectures, concerts, docent tours, and community events in addition to contemporary art exhibitions. Exhibitions showcase art of the southern California region including paintings, sculptures, studio furniture, art quilts, and architectural glass. OMA’s galleries feature contemporary art enriched by the cultures of the community. The museum’s galleries are redesigned for each exhibition, providing visitors with a fresh, exciting visual transformation for every new exhibit. For more information, contact info@oma-online.org. The Friends of the Arts at Turtle Bay, in cooperation with Turtle Bay Exploration Park, is presenting the fourth West Coast Biennial Juried Art Exhibition at Turtle Bay. Open to west coast artists currently living in California, Oregon, Washington, and Alaska. The aim of the exhibition is to provide a forum for both established and emerging artists working on the west coast in a diversity of media including painting, drawing, printmaking, photography, sculpture, and mixed media. Turtle Bay Exploration Park is a fun, non-profit, 300-acre gathering place featuring the Sundial Bridge, a museum, forestry & wildlife center, arboretum, and botanical gardens. At the gateway to the Sacramento River Trails, Turtle Bay celebrates far Northern California as part of the world we share. For more information, contact biennial@turtlebay.org. Glendale Arts seeks southern California artists and architects to submit proposals for a Donor Recognition Project, the Glendale Arts Donor Wall. Glendale Arts anticipates selecting at least two artists to have more in-depth discussions with and will make an award to one of these artists. Glendale Arts is a nonprofit arts organization charged with the responsibility of managing the historic Alex Theatre in downtown Glendale, CA. The mission of Glendale Arts is to bring arts and entertainment to the community. Glendale Arts believes that a great city is defined by its arts. We envision a supportive environment that encourages and values all artistic disciplines and believe that the arts are an essential ingredient for a vibrant, creative, and economically healthy community. For more information, contact ncrowe@glendalearts.org.